Vivo APEX 2019 Concept Phone with 5G Support, SD855, 12 GB RAM - Playfuldroid! Vivo has introduced the Vivo APEX 2019 concept smartphone through an unveil event in China today. The company confirmed some of the best features of the phone to the media today. The most striking feature of the APEX 2019 concept phone is that its rear shell and edges are all made out of reinforced glass. There are no physical buttons or ports on the edges of the phone. On the right edge of the phone are pressure-sensitive buttons for volume and power. The Vivo APEX 2019 is fitted with a 6.39-inch AMOLED display that produces full HD+ resolution. The entire screen of the device supports fingerprint unlocking since its is equipped with Full Display Screen Fingerprint Scanning technology. The screen soundcast technology is responsible for allowing the phone to emit sound through display. There is a magnetic port available on the backside of the APEX 2019 through users can do wireless charging and data transfer. There is 13-megapixel + 12-megapixel dual camera setup on the rear side of the phone. There is no confirmation on whether the phone has a pop-up selfie shooter or whether it does not feature it. The Snapdragon 855 chipset is the driving force of the smartphone. It also features 12 GB of RAM. The phone comes in 256 GB and 512 GB storage choices. Lastly, it is the first phone from the company to arrive with support for 5G networks. 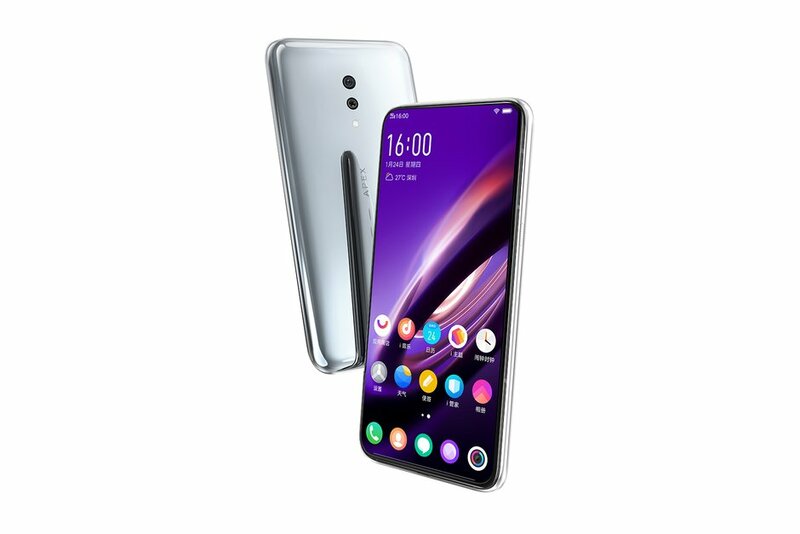 The Vivo APEX 2019 will be showcased to the world at the Mobile World Congress (2019) tech expo in the coming in Barcelona, Spain.